"Frittatas are a versatile dish that can be served at breakfast, lunch or dinner. 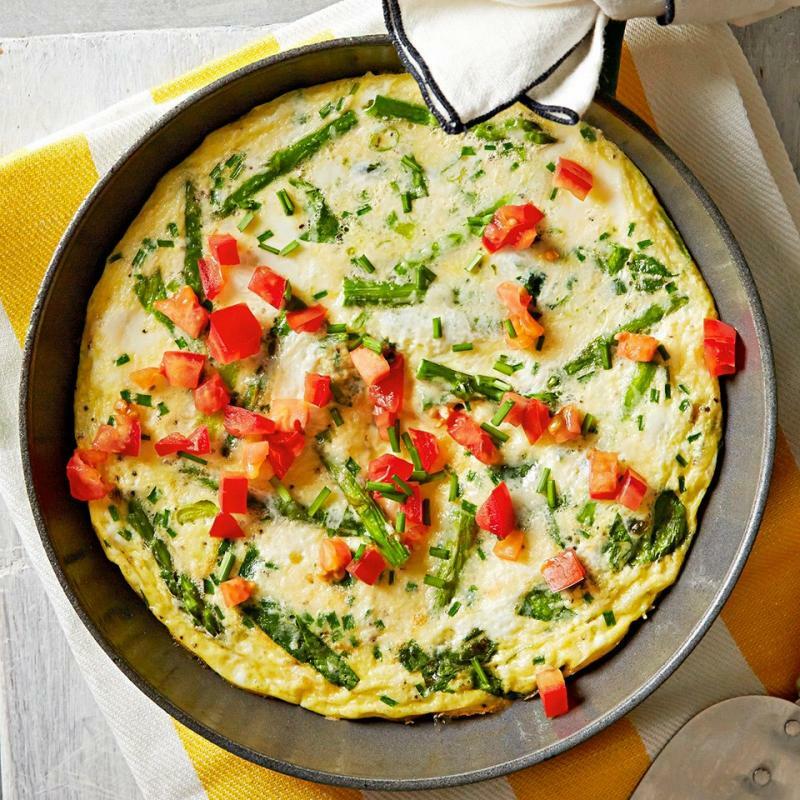 This easy frittata, featuring green spring vegetables accented by chopped thomatoes and parmesan cheese, can be on your plate in just 25 minutes." Preheat broiler. In a small bowl, combine the eggs, egg whites, milk, chives and pepper: stir in 2 tablespoons of the cheese. In an 8-inch nonstick broiler proof skillet heat oil over medium. Add asparagus and green onions; cook and stir 2 minutes. Add spinach and garlic; cook 30 seconds or just until spinach is wilted. Pour egg mixture into skillet; reduce heat to low. Cook, covered, 10 to 12 minutes or until nearly set. Sprinkle with remaining 2 tablespoons cheese. Place skillet under broiler 4 to 5 inches from heat. Broil 1 minute or just until top is set and cheese is melted. Top with tomato.